Common sense is not really so common. The 60th day of the year; 60 is the smallest composite number which is the order of a simple group. One year in every four, its days shall be reckoned as nine and twenty. 1932 Gene Howard Golub (February 29, 1932 – November 16, 2007), Fletcher Jones Professor of Computer Science (and, by courtesy, of Electrical Engineering) at Stanford University, was one of the preeminent numerical analysts of his generation. Well David, I have a lot of ideas and throw away the bad ones. Upon being asked how he had so many good ideas by David Harker, his student. 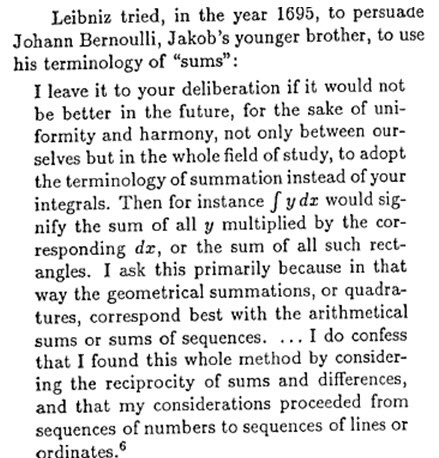 1695 Liebniz writes to Johann Bernoulli encouraging him to use the term calculus summatorus which Liebniz used for integration. 1878 Pierre Joseph Louis Fatou (28 Feb 1878 in Lorient, France - 10 Aug 1929 in Pornichet, France) was a French mathematician working in the field of complex analytic dynamics. He entered the École Normale Supérieure in Paris in 1898 to study mathematics and graduated in 1901 when he was appointed an astronomy post in the Paris Observatory. Fatou continued his mathematical explorations and studied iterative and recursive processes such as z == z2+C . the Julia set and the Fatou set are two complementary sets defined from a function. Fatou wrote many papers developing a Fundamental theory of iteration in 1917, which he published in the December 1917 part of Comptes Rendus. His findings were very similar to those of Gaston Maurice Julia, who submitted a paper to the Académie des Sciences in Paris for their 1918 Grand Prix on the subject of iteration from a global point of view. Their work is now commonly referred to as the generalised Fatou–Julia theorem. *Wik Fatou dust is the term applied to certain iteration sets that have zero area and an infinite number of disconnected components. 1930 Leon N. Cooper (28 Feb 1930 - ) American physicist who shared (with John Bardeen and John Robert Schrieffer) the 1972 Nobel Prize in Physics, for his role in developing the BCS (for their initials) theory of superconductivity. The concept of Cooper electron pairs was named after him. 1742 Willem 'sGravesande (26 September 1688 – 28 February 1742)was a Dutch mathematician who expounded Newton's philosophy in Europe. In 1717 he became professor in physics and astronomy in Leiden, and introduced the works of his friend Newton in the Netherlands. 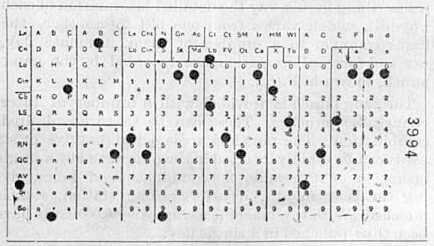 1863 Jakob Philipp Kulik (1 May 1793 in Lemberg, Austrian Empire (now Lviv, Ukraine) - 28 Feb 1863 in Prague, Czech Republic) Austrian mathematician known for his construction of a massive factor tables. Kulik was born in Lemberg, which was part of the Austrian empire, and is now Lviv located in Ukraine.In 1825, Kulik mentioned a table of factors up to 30 millions, but this table does no longer seem to exist. 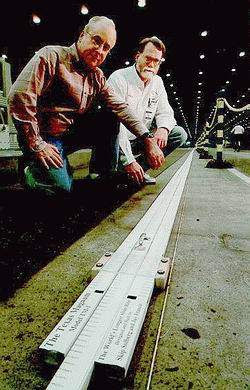 It is also not clear if it had really been completed. Andromeda Galaxy which Hubble measured to be 300,000 parsecs away. The 58th day of the year; 58 is the fourth smallest Smith Number. (Find the first three. A Smith number is a composite number for which the sum of its digits equals the sum of the digits in its prime factorization, including repetition. 58 = 2*29, and 5+8= 2+2+9. )Smith numbers were named by Albert Wilansky of Lehigh University. He noticed the property in the phone number (493-7775) of his brother-in-law Harold Smith. 1915 Nikolay Yakovlevich Sonin (February 22, 1849 – February 27, 1915) was a Russian mathematician. as eagles sustain themselves in the air. 1616 Galileo is warned to abandon Copernican views. On February 19, 1616, the Inquisition had asked a commission of theologians, known as qualifiers, about the propositions of the heliocentric view of the universe after Nicollo Lorin had accused Galileo of Heretical remarks in a letter to his former student, Benedetto Castelli. On February 24 the Qualifiers delivered their unanimous report: the idea that the Sun is stationary is "foolish and absurd in philosophy, and formally heretical since it explicitly contradicts in many places the sense of Holy Scripture..."; while the Earth's movement "receives the same judgement in philosophy and ... in regard to theological truth it is at least erroneous in faith. "At a meeting of the cardinals of the Inquisition on the following day, Pope Paul V instructed Bellarmine to deliver this result to Galileo, and to order him to abandon the Copernican opinions; should Galileo resist the decree, stronger action would be taken. On February 26, Galileo was called to Bellarmine's residence, and accepted the orders. *Wik A transcript filed by the 1633 Inquisition indicates he was also enjoined from either speaking or writing about his theory. Yet Galileo remained in conflict with the Church. He was eventually interrogated by the Inquisition in Apr 1633. On 22 Jun 1633, Galileo was sentenced to prison indefinitely, with seven of ten cardinals presiding at his trial affirming the sentencing order. Upon signing a formal recantation, the Pope allowed him to live instead under house-arrest. 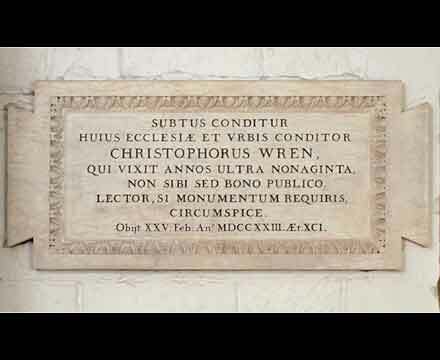 From Dec 1633 to the end of his life on 8 Jan 1641, he remained in his villa at Florence. *TIS In 1992, the Vatican officially declared that Galileo had been the victim of an error. 1665 A letter from Christiaan Huygens to his father, Constantyn Huygens describes the discovery of synchronization between two pendulum clocks in his room. While I was forced to stay in bed for a few days and made observations on my two clocks of the new workshop, I noticed a wonderful effect that nobody could have thought of before. The two clocks, while hanging [on the wall] side by side with a distance of one or two feet between, kept in pace relative to each other with a precision so high that the two pendulums always swung together, and never varied. While I admired this for some time, I finally found that this happened due to a sort of sympathy: when I made the pendulums swing at differing paces, I found that half an hour later, they always returned to synchronism and kept it constantly afterwards, as long as I let them go. 1855 Carl F. Gauss' body lay in state under the dome in the rotunda of the observatory in Gottingen two days after his death. At nine o'clock a group of 12 students of science and mathematics, including Dedikind, carried the coffin out of the observatory and to his final resting place in St. Alben's Church Cemetary. After the casket was lowered it was covered with covered with palms and laurel . 1585 Federico Cesi (26 Feb OR 13 Mar 1585 (sources differ, but Thony Christie did some research to suggest the Feb date is the correct one); 1 Aug 1630 at age 45) Italian scientist who founded the Accademia dei Lincei (1603, Academy of Linceans or Lynxes), often cited as the first modern scientific society, and of which Galileo was the sixth member (1611). Cesi first announced the word telescope for Galileo's instrument. At an early age, while being privately educated, Cesi became interested in natural history and that believed it should be studied directly, not philosophically. The name of the Academy, which he founded at age 18, was taken from Lynceus of Greek mythology, the animal Lynx with sharp sight. He devoted the rest of his life to recording, illustrating and an early classification of nature, especially botany. The Academy was dissolved when its funding by Cesi ceased upon his sudden death(at age 45). *TIS It was revived in its currently well known form of the Pontifical Academy of Sciences, by the Vatican, Pope Pius IX in 1847. People must understand that science is inherently neither a potential for good nor for evil. It is a potential to be harnessed by man to do his bidding. 1959 The APT Language is Demonstrated: The Automatically Programmed Tools language is demonstrated. APT is an English-like language that tells tools how to work and is mainly used in computer-assisted manufacturing. 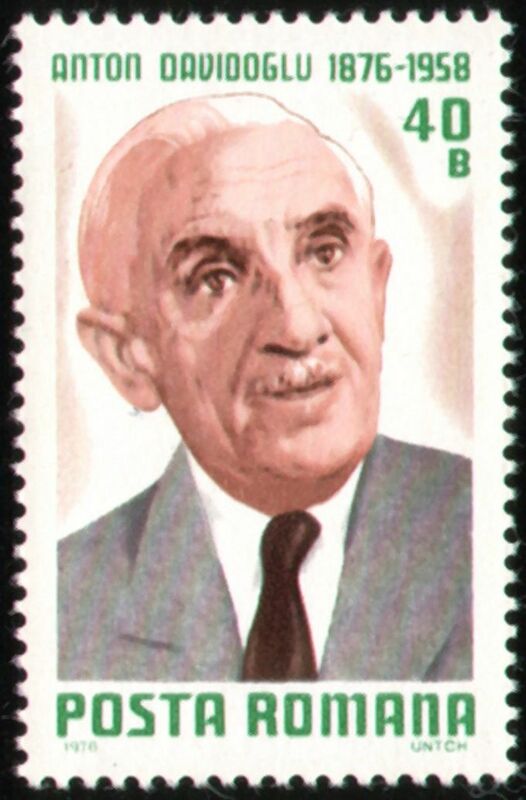 1972 Władysław Hugo Dionizy Steinhaus (January 14, 1887 – February 25, 1972) was a Polish mathematician and educator. Steinhaus obtained his PhD under David Hilbert at Göttingen University in 1911 and later became a professor at the University of Lwów, where he helped establish what later became known as the Lwów School of Mathematics. He is credited with "discovering" mathematician Stefan Banach, with whom he gave a notable contribution to functional analysis through the Banach-Steinhaus theorem. After World War II Steinhaus played an important part in the establishment of the mathematics department at Wrocław University and in the revival of Polish mathematics from the destruction of the war. 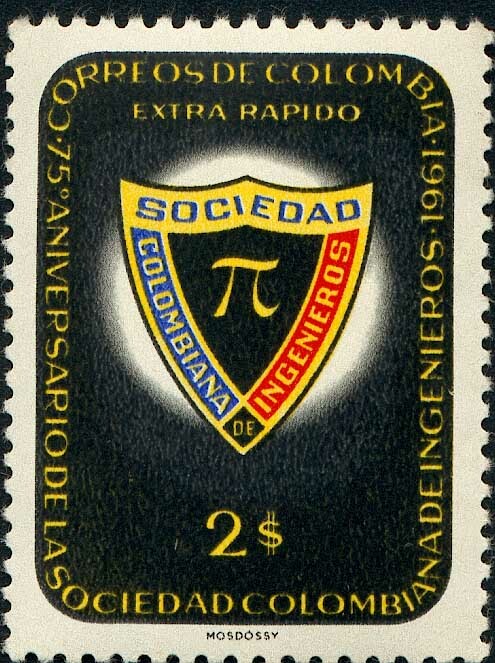 1988 Kurt Mahler (26 July 1903, Krefeld, Germany – 25 February 1988, Canberra, Australia) was a mathematician and Fellow of the Royal Society. Mahler proved that the Prouhet–Thue–Morse constant and the Champernowne constant 0.1234567891011121314151617181920... are transcendental numbers. He was a student at the universities in Frankfurt and Göttingen, graduating with a Ph.D. from Johann Wolfgang Goethe University of Frankfurt am Main in 1927. He left Germany with the rise of Hitler and accepted an invitation by Louis Mordell to go to Manchester. He became a British citizen in 1946. 1999 Glenn Theodore Seaborg (April 19, 1912(Ishpeming, Michigan) – February 25, 1999) was an American scientist who won the 1951 Nobel Prize in Chemistry for "discoveries in the chemistry of the transuranium elements", contributed to the discovery and isolation of ten elements, and developed the actinide concept, which led to the current arrangement of the actinoid series in the periodic table of the elements. He spent most of his career as an educator and research scientist at the University of California, Berkeley where he became the second Chancellor in its history and served as a University Professor. Seaborg advised ten presidents from Harry S. Truman to Bill Clinton on nuclear policy and was the chairman of the United States Atomic Energy Commission from 1961 to 1971 where he pushed for commercial nuclear energy and peaceful applications of nuclear science. In 1968, Nature carried the announcement of the discovery of a pulsar (a pulsating radio source). The first pulsar was discovered by a graduate student, Jocelyn Bell, on 28 Nov 1967, then working under the direction of Prof. Anthony Hewish. The star emitted radio pulses with clock-like precision. It was observed at the Mullard Radio Astronomy Observatory, Cambridge University, England. A special radio telescope, was used with 2,048 antennae arrayed across 4.4 acres. Pulsars prompted studies in quantum-degenerate fluids, relativistic gravity and interstellar magnetic fields. *TIS [Before the nature of the signal was determined, the researchers, Bell and her Ph.D supervisor Antony Hewish, somewhat seriously considered the possibility of extraterrestrial life, "We did not really believe that we had picked up signals from another civilization, but obviously the idea had crossed our minds and we had no proof that it was an entirely natural radio emission. It is an interesting problem - if one thinks one may have detected life elsewhere in the universe how does one announce the results responsibly? Who does one tell first?" The observation was given the half-humorous designation Little green men 1, until researchers Thomas Gold and Fred Hoyle correctly identified these signals as rapidly rotating neutron stars with strong magnetic fields.] Read the details in her own words here. 1812 Étienne-Louis Malus (23 Jun 1775, 24 Feb 1812 at age 36) He served in Napoleon's corps of engineers, fought in Egypt, and contracted the plague during Napoleon's aborted campaign in Palestine. Posted to Europe after 1801, he began research in optics. In 1808, he discovered that light rays may be polarized by reflection, while looking through a crystal of Iceland spar at the windows of a building reflecting the rays of the Sun. 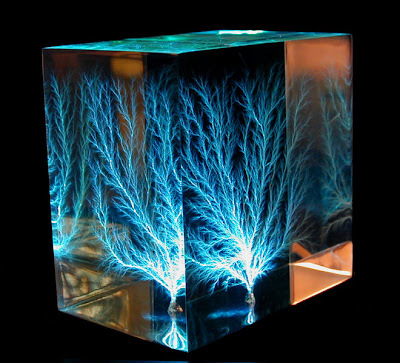 He noticed that on rotating the crystal the light was extinguished in certain positions. Applying corpuscular theory, he argued that light particles have sides or poles and coined the word "polarization." *TIS He studied geometric systems called ray systems, closely connected to Julius Plücker's line geometry. He conducted experiments to verify Christiaan Huygens' theories of light and rewrote the theory in analytical form. His discovery of the polarization of light by reflection was published in 1809 and his theory of double refraction of light in crystals, in 1810. Malus attempted to identify the relationship between the polarising angle of reflection that he had discovered, and the refractive index of the reflecting material. While he deduced the correct relation for water, he was unable to do so for glasses due to the low quality of materials available to him (most glasses at that time showing a variation in refractive index between the surface and the interior of the glass). It was not until 1815 that Sir David Brewster was able to experiment with higher quality glasses and correctly formulate what is known as Brewster's law. 1844 Antoine-André-Louis Reynaud (12 Sept 1771, 24 Feb 1844) Reynaud published a number of extremely influential textbooks. He published a mathematics manual for surveyors as well as Traité d'algèbre, Trigonométrie rectiligne et sphérique, Théorèmes et problèmes de géométrie and Traité de statistique. His best known texts, however, were his editions of Bézout's Traité d'arithmétique which appeared in at least 26 versions containing much original work by Reynaud. 2001 Claude Shannon (30 April 1916 in Gaylord, Michigan, USA - 24 Feb 2001 in Medford, Massachusetts, USA) founded the subject of information theory and he proposed a linear schematic model of a communications system. His Master's thesis was on A Symbolic Analysis of Relay and Switching Circuits on the use of Boole's algebra to analyse and optimise relay switching circuits. *SAU While working with John von Neumann on early computer designs, (John) Tukey introduced the word "bit" as a contraction of "binary digit". The term "bit" was first used in an article by Claude Shannon in 1948. Among several statues to Shannon, one is erected in his hometown of Gaylord, Michigan. The statue is located in Shannon Park in the center of downtown Gaylord. Shannon Park is the former site of the Shannon Building, built and owned by Claude Shannon's father. ~Carl F. Gauss, His motto. He would limit his publications to work he regarded as complete and perfect. In 1896, the Tootsie Roll was introduced by Austrian immigrant Leo Hirshfield to the U.S. In a small store in New York City, he began producing his a chocolaty, chewy candy, which he named after a nickname of "Tootsie" for his five-year-old daughter, Clara. He was America's first candy maker to individually wrap penny candy. By 1905, production moved to a four-story factory in New York. During World War II, Tootsie Rolls were added to American soldiers' rations because of their ability to withstand severe weather conditions and give quick energy. Tootsie Rolls are made from a base of sugar, corn syrup, soy-bean oil, skim milk and cocoa. Current production is over 49 million pieces a day. *TIS Every year in Calculus as we were introducing Rolle's Thm, I would mention to my class the important contribution of his daughter, Tootsie. 1583 Jean-Baptiste Morin (23 Feb 1583 in Villefranche, Beaujolais, France - 6 Nov 1656 in Paris, France) French astrologer and astronomer who attempted to solve the longitude problem using lunar observations. He was certainly not the first to propose the method but he did add one important new piece of understanding, namely he took lunar parallax into account. Since Morin put forward his method for a longitude prize, a committee was set up by Cardinal Richelieu​ to evaluate it. Étienne Pascal, Mydorge, Beaugrand, Hérigone, J C Boulenger and L de la Porte served on the committee and they were in dispute with Morin for the five years after he made his proposal. Morin realised that instruments had to be improved, improved methods of solving spherical triangles had to be found and better lunar tables were needed. He made some advances in these areas but his method, although theoretically sound, could not achieve either the computational or observational accuracy to succeed. Morin refused to listen to objections to his proposal. 1723 Richard Price (23 February 1723 – 19 April 1791) was a British moral philosopher and preacher in the tradition of English Dissenters, and a political pamphleteer, active in radical, republican, and liberal causes such as the American Revolution. He fostered connections between a large number of people, including writers of the Constitution of the United States. He spent most of his adult life as minister of Newington Green Unitarian Church, where possibly the congregant he most influenced was early feminist Mary Wollstonecraft, who extended his ideas on the egalitarianism inherent in the spirit of the French Revolution to encompass women's rights as well. In addition to his work as a moral and political philosopher, he also wrote on issues of statistics and finance, and was inducted into the Royal Society for these contributions. Price was a friend of the mathematician and clergyman Thomas Bayes. He edited Bayes' most famous work "An Essay towards solving a Problem in the Doctrine of Chances" which contains Bayes' Theorem, one of the most fundamental theorems of probability theory, and arranged for its posthumous publication. Price wrote an introduction to Bayes' paper which provides some of the philosophical basis of Bayesian statistics. 1861 George Ballard Mathews, FRS (February 23, 1861 — March 19, 1922) was a London born mathematician who specialized in number theory. He transformed nearly all areas of mathematics, for which his talent showed from a very early age. For his contributions to theory in magnetism and electricity, a unit of magnetic field has been named the gauss. He devised the method of least squares in statistics, and his Gaussian error curve remains well-known. He anticipated the SI system in his proposal that physical units should be based on a few absolute units such as length, mass and time. In astronomy, he calculated the orbits of the small planets Ceres and Pallas by a new method. He invented the heliotrope for trigonometric determination of the Earth's shape. 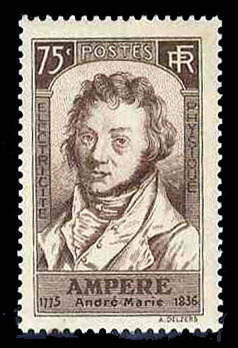 With Weber, he developed an electromagnetic telegraph and two magnetometers. *TIS; He proved that the heptadecagon (17 gon) was constructable (see April 8) with straight-edge and compass. Because of difficulties engraving the 17gon on his memorial, a seventeen pointed star was used instead. The Star is located below his foot on the right of the monument pedestal. Dave Renfro has provided me a complete and elementary proof of the construction. 1961 Mary Ann Elizabeth Stephansen (10 March 1872 in Bergen, Norway - 23 Feb 1961 in Espeland, Norway)received her Ph.D. in mathematics from the University of Zurich in 1902. She was the first woman from Norway to receive a doctoral degree in any subject. Her thesis area was in partial differential equations. It was not until 1971 that another Norwegian woman obtained a doctorate in mathematics. Stephansen taught at the Norwegian Agricultural College from 1906 until her retirement in 1937. She began as an assistant in physics and mathematics, then was appointed to a newly created docent position in mathematics in 1921. She published four mathematical research papers on partial differential equations and difference equations.